We are able to design and manufacture over 20 types of profiles for different uses in the field of broaches. Today we will talk about POLYGONAL and HEXAGONAL profiles. Every day we use broached objects with these profiles. Have you ever noticed this? Look in your toolbox, you will find some wrenches. Well, some of them may have been broached by us! We produce broaches with polygonal profiles to make combination wrenches for the most famous companies in the sector. Instead, our hexagonal profiles are used for making wheel brace or lug wrench. 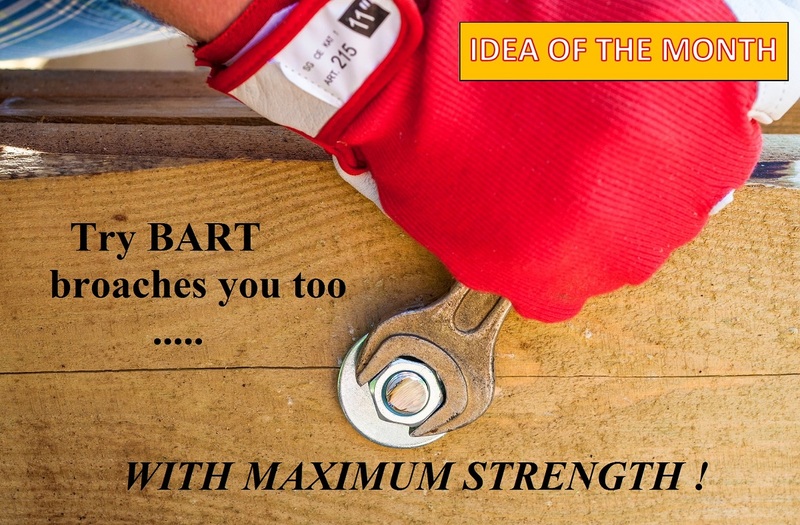 Try Bart broaches you too…. with maximum strength!